We’ve painted A.J. Emrick’s vintage snowmobile hoods for some years now. Vintage sled restoration is not only time intensive; it requires the attention to detail that most people don’t possess. It’s this incredible patience that makes A.J. a maverick in the field of snowmobile restoration. Like many northerners, A.J. grew up in a family of snowmobilers. He fondly remembers spending several days snowmobiling with his parents and two sisters around their Michigan cabin. Of course he was perfectly content driving his dad’s hand-me-downs, but nothing compares to your very first snowmobile. For A.J., it was a 1978 Polaris TX. Since the mid-1970s, A.J. has been involved in all aspects of snowmobiling. From racing to trail and mountain riding, his experience and love of the hobby eventually led him to vintage (1976 to 1980) snowmobile restoration and show. A.J. caught the competition bug in 2008, after showing his dad’s restored 1979 Polaris Centurion. Since then, he was found to have the talent and expertise to win competition after competition. A.J. now owns seven restored “show-quality” race and trail sleds that encompass the vintage years. 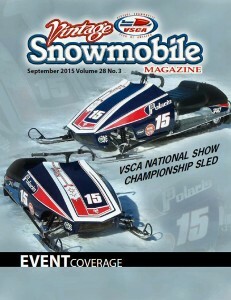 What is so addicting about showing snowmobiles? The pure adrenaline of the competition. After spending hundreds of hours restoring vintage sleds, A.J. takes a critical eye in comparing his work to that of other competitors. But no one, comes close to A.J.’s passion or attention to detail. Maybe that’s why his 1978 RXL Enduro just won the 2015 National’s Championship, along with his 1979 Centurion and 1980 Indy winning their individual classes. You just can’t beat quality work. What’s next? A.J.’s passion has shifted to helping other enthusiasts create show-quality vintage sleds. 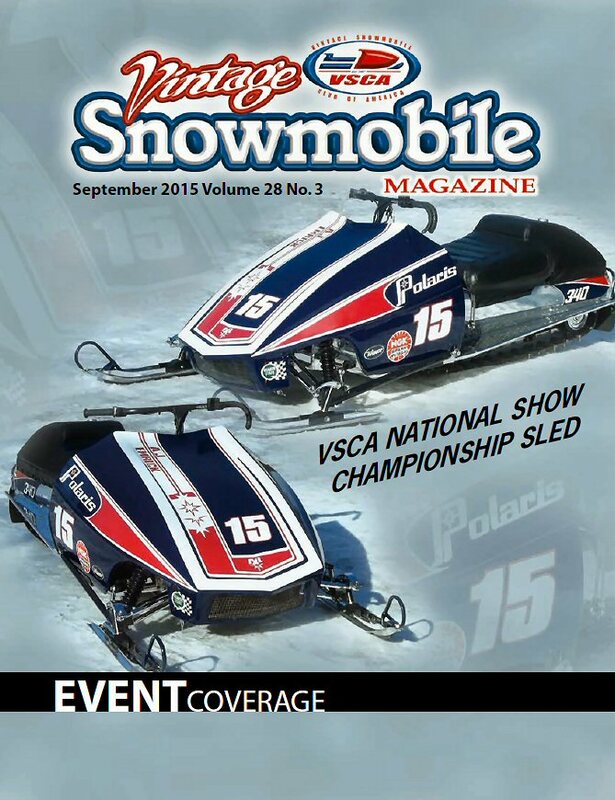 In April, he started a new business aptly called Vintage Snowmobile Restoration. The business offers a large selection of vintage hoods, pans, foam, tunnels, seat covers, flaps/plastics, windshields, and decals. However, if you’re seeking a full restoration, you better talk to A.J. soon. He’s already booked out into mid-2016. With vintage sleds being the fastest growing segment of snowmobiling, the future looks bright for this budding new business. 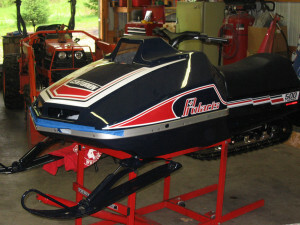 The contact number for Vintage Snowmobile Restoration is (507) 685-2537. Please call Bodywerks at (952) 461-5070 for information about snowmobile hood, suspension, and chassis painting.